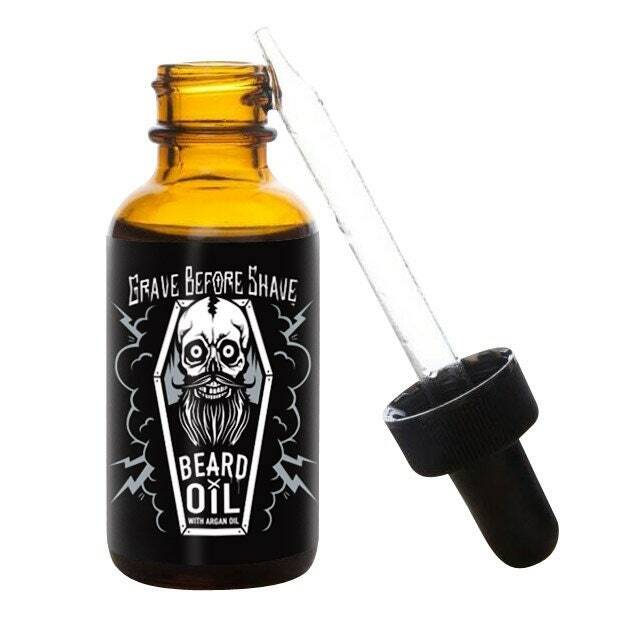 Grave Before Shave Enhanced Formula Beard Oil is a new blended formula that is unlike the rest! Our enhanced formula has a Fresh scent that matches our Beard wash. Feels lighter in your Beard and will not leave you feeling "greasy" like some beard oils. Infused with Organic Argan oil, this formula will be a quick favorite to your collection!